Those of us that work closely with clinicians or simply work in healthcare have no doubt heard of the total revamping of Medicare (Part B) clinician payments from a fee-for-service to a value-based system; this sort of change hasn’t occurred in over a generation. If that isn’t incredible enough for you, how about the fact that this 892 page document was passed by Congress with a bi-partisan ‘supermajority’; that alone speaks volumes on the importance of this change. The culprit of my angst and information overload is called the Medicare Access and CHIP Reauthorization Act of 2015 (MACRA) that will go into effect 1/1/17. This rule is so complicating with so many layers, it does not even have a Wikipedia page (nobody as been so bold); so keeping that in mind this blog post is my attempt to sum up my own understanding of this proposed rule. Two pathways to payment. 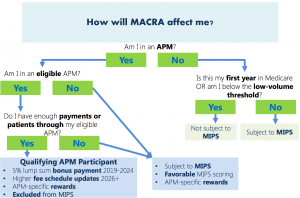 MACRA is built upon two value based pathways that eligible clinicians (physicians, physician assistants, nurse practitioners, clinical nurse specialists, and certified registered nurse anesthetists) must chose from: Merit-based Incentive Payment System (MIPS) or the Advanced Alternative Payment Model (Advanced APM). Which path a clinician takes depends on their patient threshold and if they are new to the Medicare. It also depends if the clinician is part of an Accountable Care Organization that is established as an APM entity. 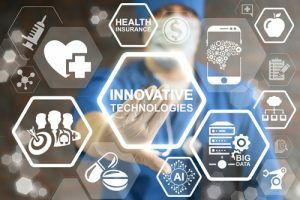 The advantage of one over the other is a 5 percent annual payment increase from CMS over 6 years if a physician decides to be grouped with their ACO APM entity. The risk is if clinicians do not meet metrics chosen and set by their ACO they will not be rewarded with their shared savings. The good news is Physicians can elect to switch between the two payment models from on year to another. That sort of choice is the foundation to the MACRA proposed rule. 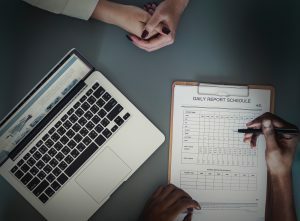 Additional choices given to eligible clinicians are: they can report on measures that are important to them and decide if they want to report as an individual or in a group. Fundamental basics to the MIPS. 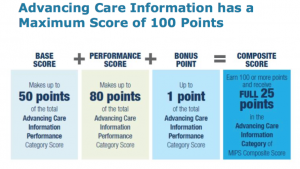 The MIPS replaces the Physician Quality Reporting System (PQRS), Value-Based Modifier (VBM) and Meaningful Use (MU) programs with the categories: Quality, Resource Use, Clinical practice improvement activities and Advancing Care Information. Quality metrics are mainly derived from PQRS; Advancing Care Information is a simplified version of MU; and Resource Use is similar to VBM. The biggest change, as far as I can tell, is clinicians can choose six quality reporting measures that are important to them. Each year HHS will publish a list of quality measures to be used in the forthcoming MIPS performance period (which is 365 days) for clinicians to chose from. Out of these measures, one must be an outcome measure of high priority measure, one must be cross-cutting (hit on several quality measures) and clinicians can choose to report a specialty measure set. Clinicians compost quality score is measured up to clinicians similar to themselves; this is another significant change. If you recall previously the sustainable growth rate (SGR) “set an arbitrary aggregate spending target” not based upon individual performance or clinician peers. Introduction to Advance APM. There is a reason why I explained in more detail the MIPS path- because I understand it better; as with many things in my life I relate it to food. MIPS takes the wholesome ingredients from MU, PQRS and VBM programs and makes it a much better appeasing entrée. Whereas the Advanced APM program doesn’t focuses so much on the recipe but on the consumer. From what I understand so far, you have to be eligible clinician determined by CMS, and work in an organization that participates already as an APM through an agreement with CMS. Also, so far, CMS has only identified six APMs that qualify as Advanced APMs. 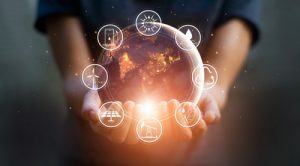 These include Comprehensive End Stage Renal Disease care, Comprehensive Primary Care Plus, Medicare Shared Savings Program (Track 2 and 3), Next Generation ACO Model, and Oncology Care model. 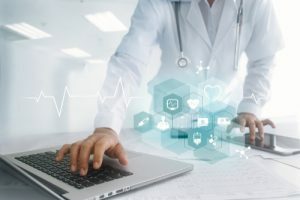 The three criterions in order to become an Advance APM clinicians is: 50% of physicians must use Certified EHR technology; payments are based on quality measures; financial risk and nominal amount standards. I hope to dive deeper into Advanced APMs in a later blog post. For now please check out the HIMSS information deck here.